I can’t even begin to say how much I would love to have letters come from God to my mailbox. The occasional note of this is how much I love you and you are doing a good job, keep it up. What we forget is that we DO have love letters from God, as well as advice and help with so many things throughout our lives. The Bible is full of them. If we forget as adults, how do we expect our children to know and understand it? 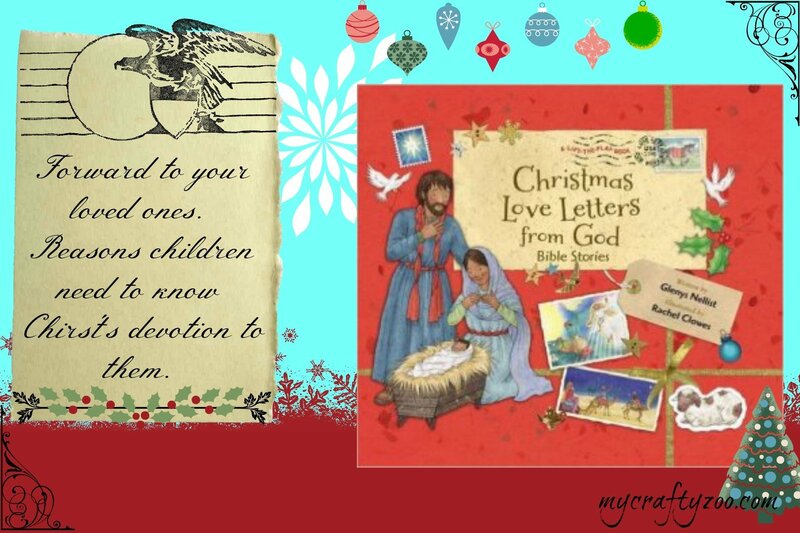 Christmas Love Letters from God is an adorable book that will help our children learn at a young age that not only does God love us, but He also took the time to write so much to teach us and encourage us throughout the Good Book. Glenys Nellist put so much love into the words in this little book made for our little ones and Rachel Clowes did an amazing job illustrating! There are a few others available as well, their pictures are below this post. You’ll love them so much you’ll want to get each of them for the kiddos! Written for children ages 4-8, Christmas Love Letters from God cleverly combines both prose and poetry as the story of Jesus’ birth unfolds. The book includes seven stories, beginning with Isaiah’s prophecy and ending with the visit of the wise men. Following each story, the child will find his or her own letter from God, folded into a small envelope attached to the page. Each letter begins with a space in which to write the child’s name, so each one can be specially addressed to the child. 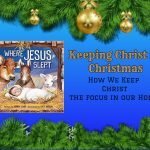 Written as if God is speaking, each message gives the young reader a sense of wonder as they discover Christmas and the birth of Jesus. A very special Bible verse, entitled God’s Perfect Promise, also accompanies each story and letter as God’s personal words of love, promise, and hope. I did receive this product for free in exchange for my honest opinion.